What if a shop manager can solve the near-net conundrum? The payoff will be improved CNC machining throughput and reduced material expense. In many cases, Friction Welding can provide the solution. Shop managers looking for efficiency know to analyze spindle load, feed rate and insert selections on their jobs. The goal is to keep the spindle running at a full load with a clean cutting of stock. One huge leap a shop can take in efficiency is to reduce cutting time and material altogether. This is where near-net shapes come into play. With a low cost of entry and ability to run smaller lots, near-net shapes are within reach of part making programs that cannot justify forging or casting. Friction Welding fuses metal parts with a solid-state joint that displays all the strength and properties of the parent material. 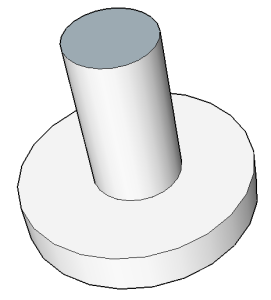 This allows the near-net weldment to be machined end-to-end. Features can be cut into the weld zone and bored through its center just like solid billet. Is Making The Change Worth It To You? Friction Welding is a process that has to be introduced to the end users for approval because it requires making a change to legacy processes. Major top-brand OEMs use Friction Welding. It is an industry proven method, so you are on solid ground when you bring this advantageous technology to your customer’s attention. Call us. We can help with evaluation and making the case to your end users.